Okay ladies and gents. I’ve got a list of ingredients along with a teeny tiny blurb from reputable sources. You pick the product. Yes, I want you to look at the chemicals and try to guess what product they come from. 1. 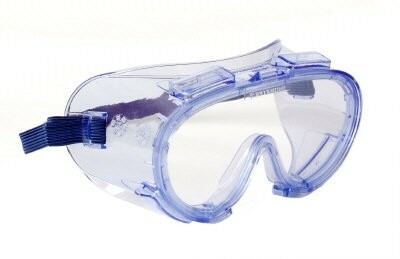 Acute exposure: Ethyl acetate causes irritation, redness, and tearing of the eyes and irritation of the nose and throat. It is a defatting agent and may cause skin dryness after acute exposure. Sensitization of the lining of the nose may occur with symptoms of inflammation (swelling, runny nose, redness of lining). 2. Chronic exposure: Chronic exposure of the skin to ethyl acetate may cause dermatitis; no other systemic effects have been reported from chronic exposure to ethyl acetate. Nitrocellulose: OSHA gives it a low toxicity rating but with Gun Cotton being it’s synonym it’s no surprise to find it’s rather explosive. Polyester Resin: Limited information available, but you can laminate your surfboard with it. Are you ready to guess? Do you think you know? After the jump is the big reveal. In fact, these ingredients are listed on Zoya’s “natural” nailpolishes. Let’s all stop pretending that red nails are pretty. When you see a little girl with her pretty pink fingers do you wonder how much of that lacquer will be ingested? Do you feel like it’s hard to breathe in a nail salon? I won’t preach here, I’ll just supply the information and whisper something in your ear, Greenwashing. Jessica Gottlieb is a freelance writer in Los Angeles, with a special hat tip to Jessica on Twitter who gave me the list of ingredients. i’ve been nail polish free for years, and i thank you for posting this. i hope your entry helps to encourage other women to ditch the polish and all those toxic ingredients. I let my daughter wear pink nailpolish for the first time the other day because she wanted so much to be like her auntie. I’m fully and admitedly lacking in common sense. Back to green meanie. I wonder if it includes the ingredients listed above.